I saw Maniac Cop 2 at the Yerba Buena Center for the Arts in their Bay Area Now 7 program, under the Invasion of the Cinemaniacs! heading, specifically the part curated by Jesse Hawthorne Ficks of Midnite for Maniacs, who hosted two William Lustig triple features (a sextuple feature?) spread across two days. 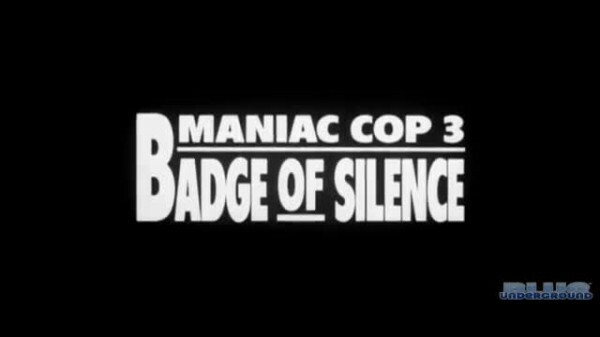 All three Maniac Cop films screened on Saturday night, while Friday featured Maniac, Vigilante, and Hit List. William Lustig returned for the second night of screenings and gave some more entertaining Q and As, some of which is peppered into the Maniac Cop reviews. Set right after Maniac Cop yet somehow jumping from March to December (just ignore that bit! 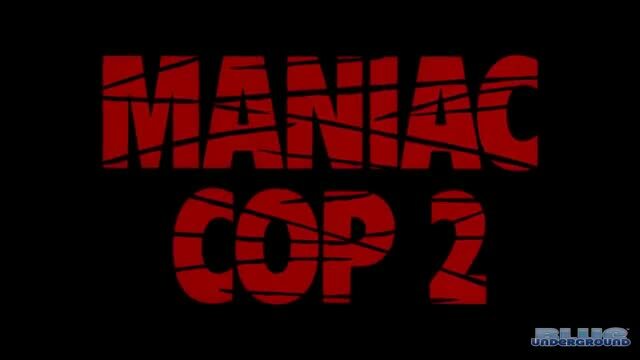 ), Maniac Cop 2 begins with the ending of the original, the jumps right to a robbery in progress that the Maniac Cop stops…by shooting the store own and the cops on the scene and thus framing the robber. Maniac Cop continues on a killing spree as such, slaying cops and others take the fall, while last movie’s heroes Teresa Mallory (Laurene Landon) and Jack Forrest (Bruce Campbell) are cleared of trouble, but no one believes them when they say the Maniac Cop is still alive. Soon they are bumped off as we move to this film’s heroes, Detective Sean McKinney (Robert Davi being the most Robert Davi he can be) and Police Counselor Susan Riley (Claudia Christian). McKinney knows something strange is going on, and he’s one of those tough cops who’s not into things like therapy. Maniac Cop is a timely film to watch the week I saw it, as Ferguson, Missouri was having yet another night of protests and police crackdowns due to the murder of an unarmed black man by the cops. 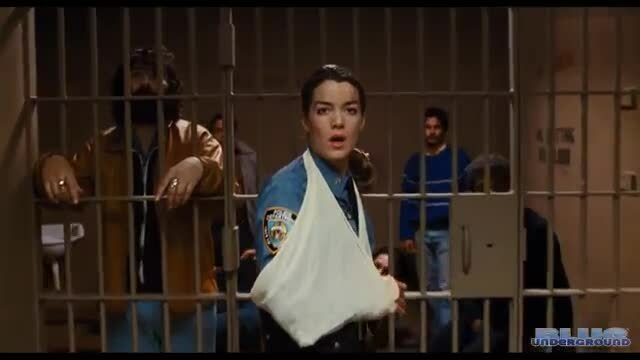 Heck, the latest round of trouble was happening while I was watching the Maniac Cop trilogy! Some of the same elements are there, people trusting the police less because of the killing(s – because there have been several unarmed black men killed by police just this year), a media firestorm, and lots of violence. 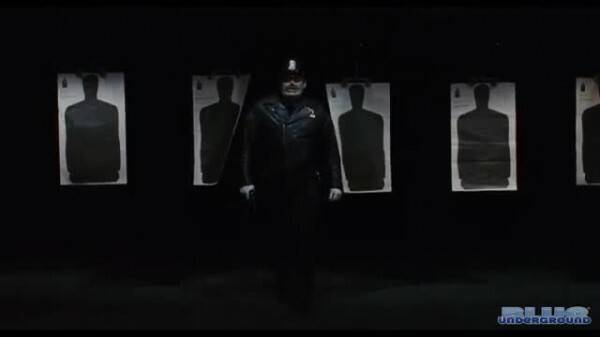 Maniac Cop was made in an era before increased police militarization was normal (though elements of that filter into the sequels), otherwise we might see Robert Z’Dar running around in SWAT gear in addition to the patrol uniform. Maybe that’s something that will be present in the rumored remake. 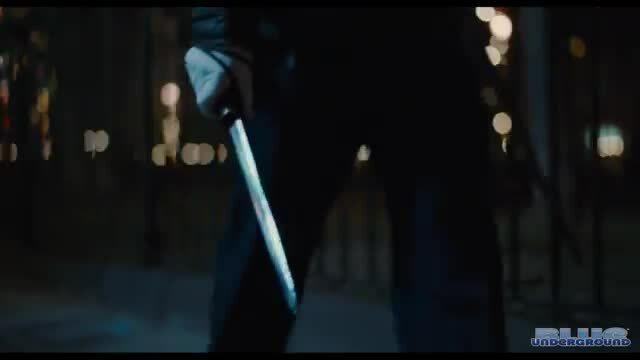 Maniac Cop features the twisting of a symbol of trust into an instrument of fear. The juxtaposition of the police, who protect and serve, and one of their own who has become a killing machine plays into the plot, as the media firestorm causes all sorts of tragic results. 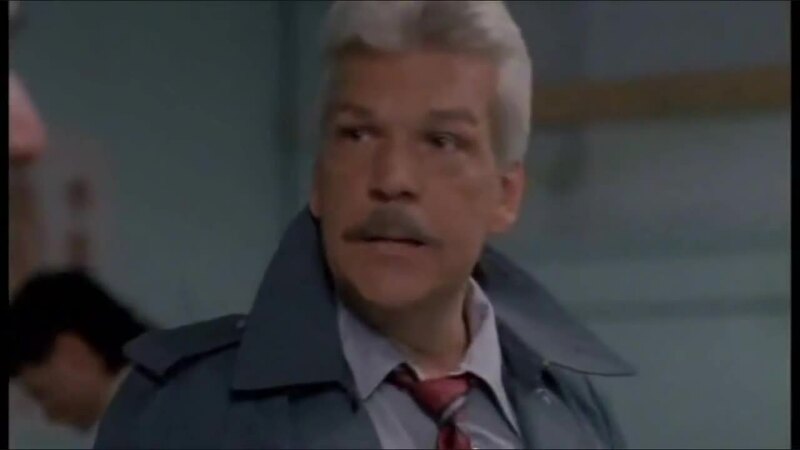 But the police not always being a symbol of order is hinted in several spots, especially a “man on the street” bit as citizens are interviewed about the Maniac Cop. A black interviewee mentions how he knows several people who were shot in the back by police. They even say cops like killing. It’s chilling how this narrative hasn’t changed in decades. Lustig frames this with elements of film noir, the cynical style fits in perfectly with the concept of police killing people and lone detectives trying to prove who the real killer is. I saw Maniac Cop at the Yerba Buena Center for the Arts (yes, Maniac Cop was screened at a museum!) in their Bay Area Now 7 program, under the Invasion of the Cinemaniacs! heading, specifically the part curated by Jesse Hawthorne Ficks of Midnite for Maniacs, who hosted two William Lustig triple features (a sextuple feature?) spread across two days. All three Maniac Cop films screened on the second night, while Friday featured Maniac, Vigilante, and Hit List. William Lustig returned for the second night of screenings and gave some more entertaining Q and As, some of which is peppered into the Maniac Cop reviews. 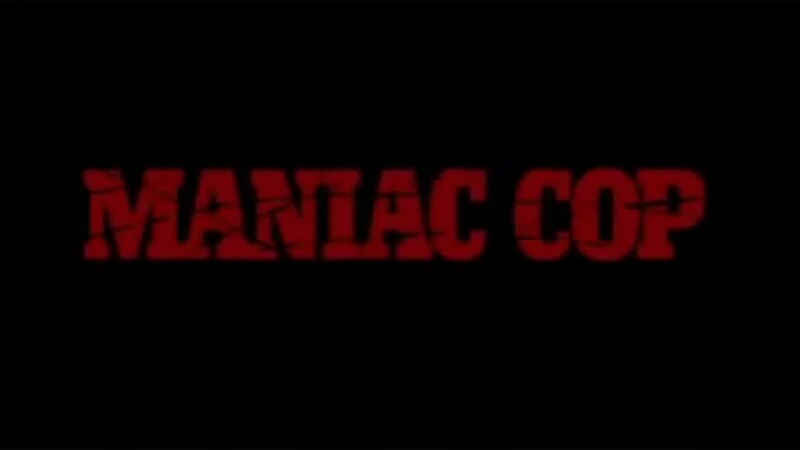 Of all six films, Maniac Cop was the only one I had seen previously, approximately 20 years ago on cable. 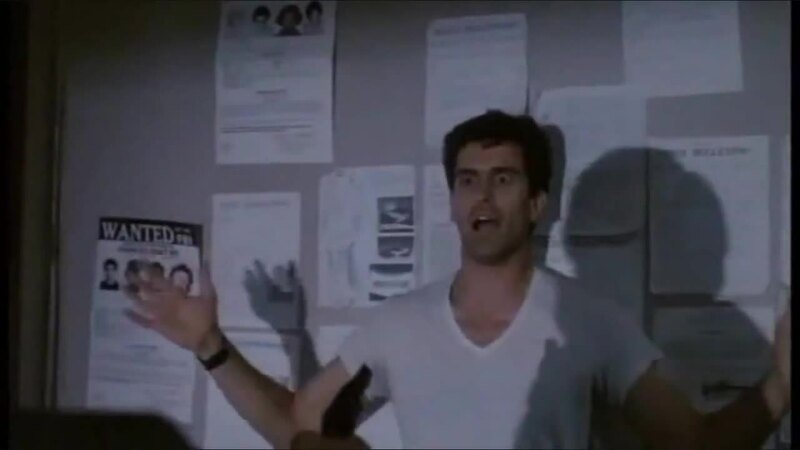 I remembered vague things about it: Bruce Campbell, gunshots doing nothing to the gigantic Maniac Cop, the cop running over people, the final stunt off the dock, and the final cliffhanger shot. 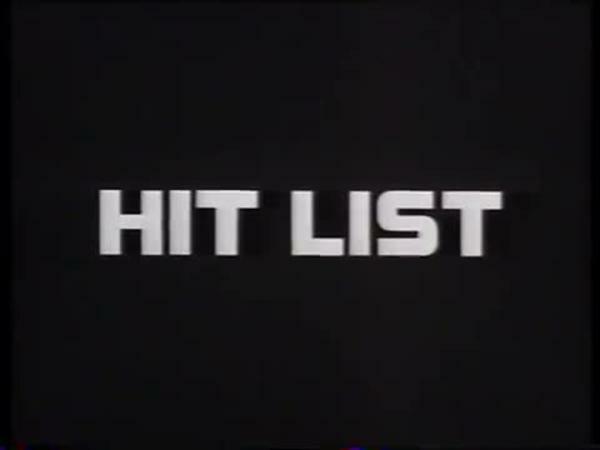 Hit List takes the vague premise of Vigilante, but heavily rewrites it for late-80s/early-90s direct to video action. It’s less dirty and gritty, with more wise guy quips and an optimistic tone. But shades of Lustig’s themes are there. The system is still broken, criminals are running free and they can’t be contained by the courts, and our heroes will have to step in and do what the system won’t. Hit List was made for Cinetel Films, best known here for their constant stream of SyFy flicks. Lustig had previously made Relentless for them, which had become one of the top-grossing DTV films of 1989 and even had a limited theatrical run. 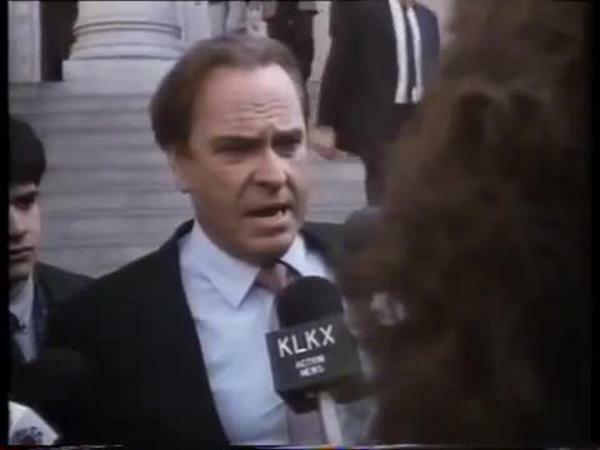 Hit List has another amazing cast – Lance Henricksen, Rip Torn, Jere Burns, Charles Napier, Harold Sylvester. 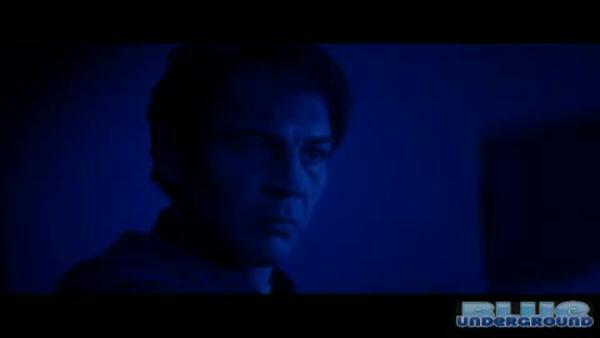 Weirdly, the success of the film being funded rested entirely on getting Jan-Michael Vincent to play the lead. 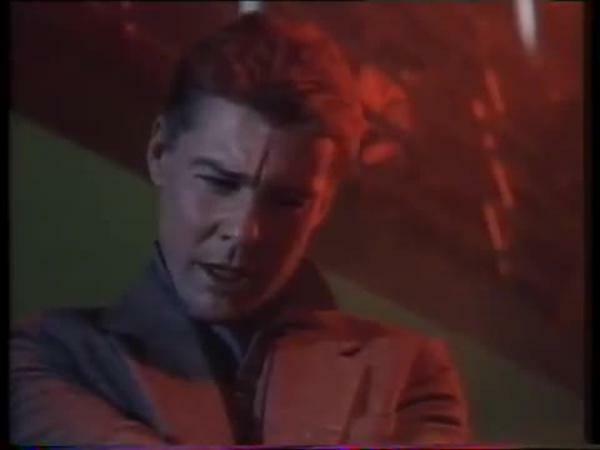 Also weirdly, according to William Lustig, Jan-Michael Vincent was often drunk on set, Lustig joking that Vincent could barely stand up straight for many shots. The script was rewritten several times, including reworkings by uncredited writers Josh Becker and Scott Spiegel. I saw Hit List at the Yerba Buena Center for the Arts in their Bay Area Now 7 program, under the Invasion of the Cinemaniacs! heading, specifically the part curated by Jesse Hawthorne Ficks of Midnite for Maniacs, who hosted two William Lustig triple features (a sextuple feature?) spread across two days. Hit List screened after Maniac and Vigilante, while the next night was all three Maniac Cop films. William Lustig himself was in attendance, and did some entertaining Q and As. Lustig is very charismatic and shared stories about filming and some of the actors/producers of his films. I’ve included some of what he mentioned in the reviews. The supporting cast and the stunts are the things to focus on for Hit List, because everything else just doesn’t work right. 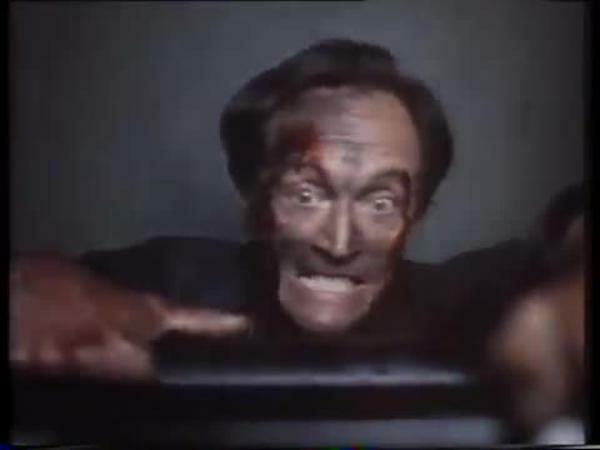 Lance Henriksen is just amazing as the crazed hired assassin Chris Caleek, who also is a women’s shoe salesman (a deadly Al Bundy?) That tidbit makes Harold Sylvester’s appearance more fun, as he was a regular in later seasons on Married With Children as Al’s coworker Griff. Henriksen spends his undercover time wearing gigantic glasses and flirting with old ladies, but quickly switches gears to firing guns and having a mean look on his face. He also sports a huge tattoo across his back. 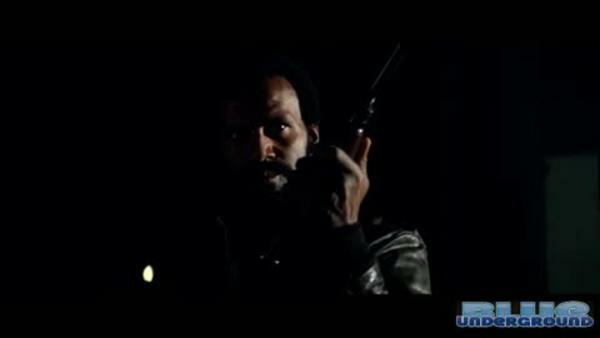 William Lustig does Death Wish with Vigilante! 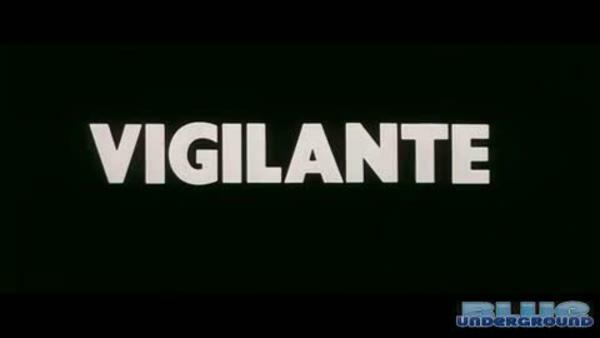 Vigilante follows a reoccurring Lustig motif, namely the entire system is corrupt and things can only get accomplished when you take matters into your own hands. Vigilante is the most extreme example, but the entire Maniac Cop series works under the premise the corrupt system framed the Maniac Cop, and even Hit List features police unable to protect people or legally bring powerful mobsters to justice. Vigilante says that what you can’t trust the cops and courts to do, you can trust guns and fellow angry citizens to carry out. I saw Vigilante at the Yerba Buena Center for the Arts in their Bay Area Now 7 program, under the Invasion of the Cinemaniacs! heading, specifically the part curated by Jesse Hawthorne Ficks of Midnite for Maniacs, who hosted two William Lustig triple features (a sextuple feature?) spread across two days. Vigilante screened between Maniac and Hit List, while the next night was all three Maniac Cop films. William Lustig himself was in attendance, and did some entertaining Q and As. Lustig is very charismatic and shared stories about filming and some of the actors/producers of his films. I’ve included some of what he mentioned in the reviews. Eddie Marino (Robert Forster) was just a normal good working man with a family, until his family is violently attacked and destroyed by a mad gang. The cops are unable to bring more than one member to trial (citing lack of evidence), and the trial quickly goes south due to corrupt lawyers and judges forcing plea deals, meaning the gang leader gets a whole two year suspended sentence for assault and murder of a young child. When Marino is rightly outraged over this, he’s the one tossed in jail for contempt. 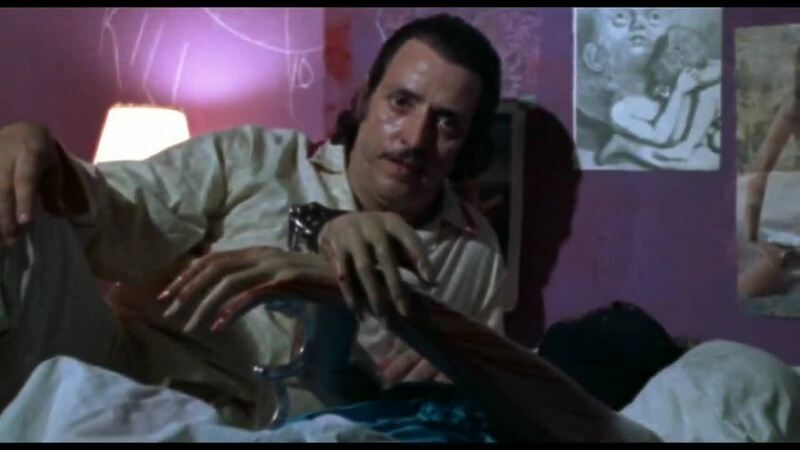 Maniac is an infamous film, a violent slasher that is almost entirely focused on the killer. The film faced criticism upon release due to violence against women, but became a hit and has gone on to become a genre classic. The film is far more complicated than just a simple slasher film. 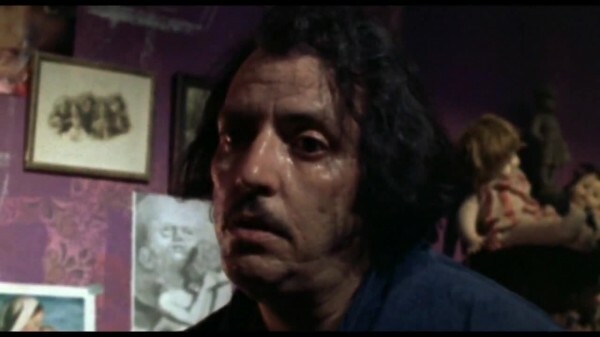 Co-written by and starring Joe Spinell, Maniac is disturbing, but well-crafted and delivers suspense and terror in a way modern horror has shifted away from. I saw Maniac at the Yerba Buena Center for the Arts (yes, Maniac was screened at a museum!) in their Bay Area Now 7 program, under the Invasion of the Cinemaniacs! heading, specifically the part curated by Jesse Hawthorne Ficks of Midnite for Maniacs, who hosted two William Lustig triple features (a sextuple feature?) spread across two days. 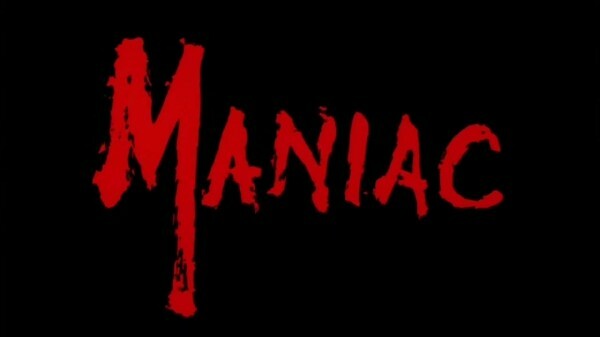 Maniac screened with Vigilante and Hit List, while the next night was all three Maniac Cop films. William Lustig himself was in attendance, and did some entertaining Q and As. Lustig is very charismatic and shared stories about filming and some of the actors/producers of his films. I’ve included some of what he mentioned in the reviews. What I like about screenings like this is I would probably never just watch Maniac on my own. Horror/slasher films aren’t really my bag, but to see it as part of a screening group like this makes it just fit in. Watching film is all about expanding your horizons, because you never know what you will discover when you leave your comfort zones. I try to follow that philosophy at TarsTarkas.NET, hence part of why we cover such a diverse range of global cinema. Maniac follows Frank Zito as he embarks on a crusade of terror in the streets of New York City, stalking and slaying women, then scalping them and dressing mannequins up in their clothes, with the scalps nailed to the heads. 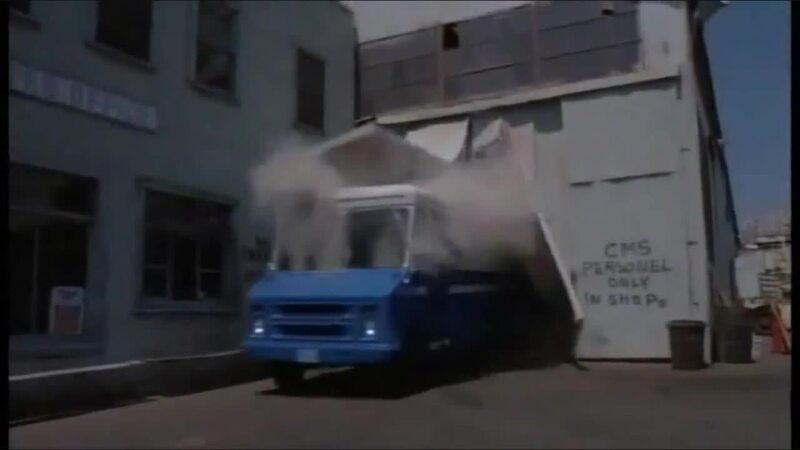 Much of the film is Frank following the various women and the ladies responding in terror, the tension building as their attempts to escape become dashed again and again. 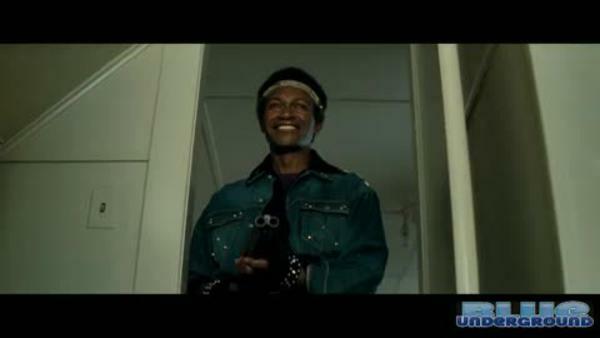 In between we see Frank breaking down in his apartment, conflicted by his compulsion, but unable to do anything to stop it. Frank has issues about his abusive dead mother. In a conversation with photographer Anna D’Antoni (Caroline Munro) in the film’s loose plot narrative, Frank talks about photos as a way to preserve the women forever. 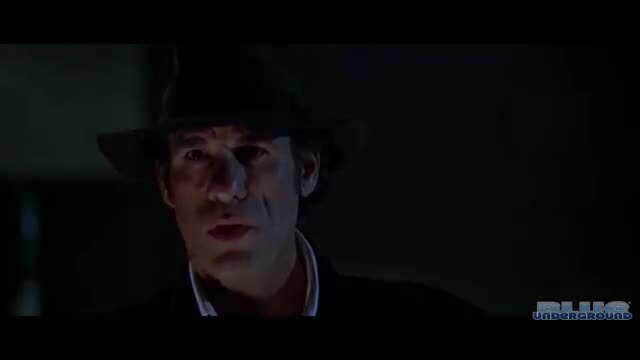 Frank’s talks with Anna are about as normal as he gets, but the facade can’t last long and soon he’s breaking down and hallucinating his dead mother is attacking him in a graveyard. Frank’s demons are his ultimate undoing, his destructive force turning upon himself.